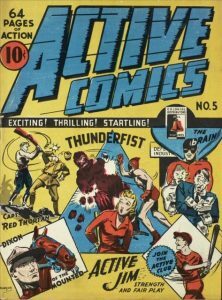 Comic books in Canada during the second World War served as forms of entertainment for children. 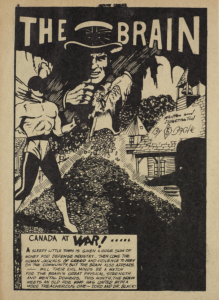 With its use of illustrations, stories, and advertisements, Canadian comics managed to attract children into reading them as it provides them with content that serve entertaining and fun through the eyes of children. However, comics are more than just forms of entertainment, but rather they are historical artifacts. 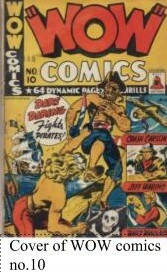 Bell Features’ comic WOW Comics No. 6 contains what would be considered entertaining for children at the time; superheroes, advertisements for toys, contests, and eye-popping illustrations, but examining the content and analyzing the way it resonates with its audience suggests what culture was like at the time the comic was produced. This exhibit will explore comics as a form of media altogether and emphasize the role of comics as an expression of cultural views and ideologies as opposed to viewing comics simply as forms of entertainment. The research provided throughout this exhibit seeks to correlate culture and entertainment, and how both of these aspects serve to educate contemporary readers of the historical context of when such comics were produced to the public. This exhibit will answer the questions; what does WOW Comics No. 6 provide besides entertainment for contemporary readers? And why is it important to view WOW Comics No. 6 more than just entertainment? Comics, as compared to literary books, textbooks, and even film, are generally regarded to be inferior forms of entertainment, or simply just disregarded altogether. Mark Berninger states that comics have been largely marginalized by critics and academics (4), thus suggesting that comics have little to no value for academic analysis and examination. This notion altogether indicates that comics, to a vast majority of scholars and critics, are generally looked down upon. It is difficult to determine which specific aspects of comic books hinder scholars and critics to examine the medium as academic research and it is tedious to come to an overall general conclusion. It is important to view comics more than just forms of entertainment. Berninger emphasizes that comics are an extension of ourselves and uniquely suited to describe the human experience (3). With this in mind, examining WOW Comics No. 6 requires one to reflect upon the context of which it was produced and created. To expand on the idea of the human experience and how it relates to comic books, comics are heavily influenced by the culture it stems from, in regards to WOW Comics No. 6, the stories and undoubtedly, the advertisements are strongly influenced by wartime during the 1940s. Context at the time of a comic’s development and production is crucial for understanding set ideologies and values. Casey Brienza argues that there is an urgent need to study the context of a comic at the time of its production (107). WOW Comics No. 6 presents shocking, and somewhat comical imagery towards the depiction of Adolf Hitler, racist stereotypes, and misogyny. To modern readers, these representations may be deemed appalling and deeply offensive in many ways, but that was not the case for Canadians at the time WOW Comics No. 6 was produced. The offensive depiction at the time was deemed normal and part of culture, it was a different time, and different views were established in Canada during the 1940s. Annessa Ann Babic emphasizes that comic books, much like movies and music, are created to sell, and that they are sold according to consumer demands and preferences (111). Drawing from this notion, WOW Comics No. 6’s content is derived from consumers’ wants and preferences at the time of production, Babic states that the public makes demands on what themes should be presented in comics, and how the pages of a comic book provide a glimpse of the culture of when the comic was produced (111). With this in mind, analysis of comics requires acknowledgement of culture and ideologies, in this case, the content presented within WOW Comics No. 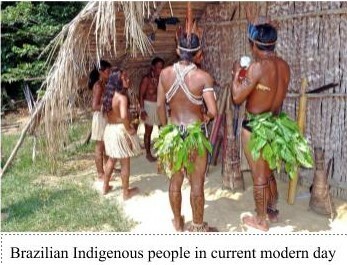 6 reflects the desires and expectations of the people living in that era. Culture and ideologies within a country changes over time, a comic book produced at a time where war played a huge impact globally gives modern readers a small fragment of what culture was like at the time. The material and content of WOW Comics No. 6 is evidently influenced by wartime as it is clearly represented in sections such as the contest titled “What Would You Do With Hitler and his Gang?”. With the second world war in full effect, WOW Comics No. 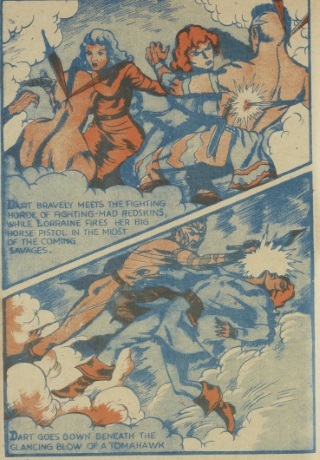 6 implemented themes of war and nationalism in both the comic’s stories and advertisements. 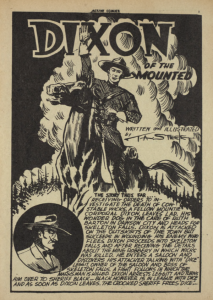 Looking at comics as a historical artifact, the contents and themes presented within the comic evidently identifies itself with what was going on in Canadian society. With stories such as “Dart Daring and the Horror in the Hills” by E.T. Legault, and advertisements within the comic such as toy airplane advertisements, the notion of war and wartime playing a huge impact on Canadian society managed to find its way in merchandise and entertainment. WOW Comics No. 6 serves as a window to society at the time of the second world war, or as Frank Bramlett defines it, as the everyday in that the comic portrays notions of war and conflict through its superhero narratives. Bramlett emphasizes the notion of the everyday and the quotidian as presented in comic books through its story and characters. As Bramlett states, comics illustrates the quotidian to a high degree, the representation of the everyday in comics become reflexive to the reader, supporting the everyday through use of characters, dialogue, settings and narratives (247). The everyday as shown in Dart Daring and Whiz Wallace presents the reader with the story’s heroes in a state of conflict and some sort of call of duty. The concept of the everyday expressed though the characters in the comic links to the everyday life of readers at the time. The stories and narratives presented in both “Dart Daring and the Horror in the Hills” and “Whiz Wallace and Two Worlds at War” evidently reflect the issues people had to deal with during the war. The distinction between the heroes and villains presents a stark contrast between the two groups where the villains are dehumanized and stereotypically labelled as seen in “Dart Daring”. Comics are not only forms of visual entertainment for children, but it captures worldviews and culture through its presentation of stories, narratives, and characters. 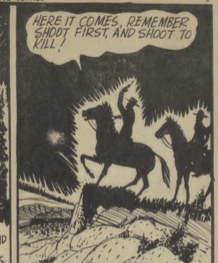 The link between war and conflict in “Dart Daring and the Horror in the Hills” and war and conflict in the context of the everyday of the readers during wartime indicate that comics do indeed mirror and reflect culture and ideologies at the time of the comic’s production. Comics encapsulate the everyday of the readers through its depiction of plot development, characters and character visuals. Looking more closely at “Dart Daring and the Horror in the Hills”, the antagonistic group, which appears to be Natives, are identified as “savages” (Legault 6). The name in itself suggests stereotypical views towards their enemies much like propaganda posters presented to the public. The advertisements within WOW Comics No. 6 clearly mirror propaganda posters with its stereotypical, comical and antagonistic view towards Germany, Adolf Hitler, and the Japanese. Bramlett emphasizes that comics rely on the reader’s sense of the everyday; comics incorporate culture’s view of the everyday into its characters, story and narratives (258). Figure 1. E.T. Legault. 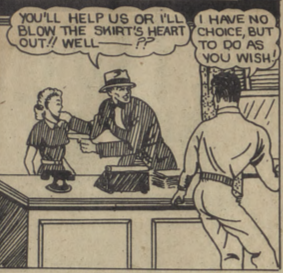 Panel from “Dart Daring.” WOW Comics, No. 6, March 1942, p. 6. Bell Features Collection, Library and Archives Canada. In regards to history, WOW Comics No. 6 mirrors societal views and ideologies and provides contemporary readers a brief understanding of culture and ideologies at the time it was produced. For contemporary readers, WOW Comics No. 6 demonstrates the reality and everyday notions of a country influenced by war. It signifies the way war has affected communication and depiction of people towards its readers, and for us contemporary readers, it signifies a tiny piece of history and the culture and ideology that comes with it. WOW Comics No. 6 contains heavy implications of nationalism, and antagonism towards Canada’s enemies at the time. 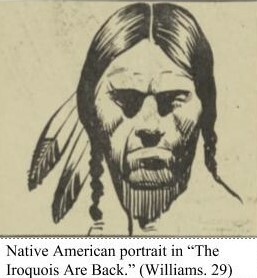 It presents an abundance of nationalistic views, and propaganda, whether it be presented in a subtle or obvious manner.“Dart Daring and the Horror in the Hills” depicts Daring’s enemies as stereotypical “Indians”, are represented as hostile and villainous, and are referred to as “savage” (Legault 3). Advertisements are of war-related merchandise or purchases such as war saving stamps, and a contest titled, “What Would You Do With Hitler and his Gang?”, which bluntly antagonizes and ridicules Hitler and the Japanese, which they are referred to as “dirty japs” (32). The notion of propaganda presented in WOW Comics No. 6 and how it is presented gives contemporary readers an understanding of how communication was handled during the 1940s in Canada. Figure 2. “What Would You Do With Hitler And His Gang?” Contest. Panel from WOW Comics, No. 6, March 1942, p. 32-33. Bell Features Collection, Library and Archives Canada. With propaganda popping up in every page of the comic, it is important to explore the psychology behind propaganda in order to understand why this certain era relied on it to speak to its viewers. Ryan Jenkins discusses the concept of propaganda and who it really benefits. According to Jenkins, propaganda serves beneficial solely for the propagandist rather than the people who view it (1). With communication in mind, examining WOW Comics No. 6 requires exploration of the propagandist, Jenkins claims that the propagandist fill their needs and wants only if it furthers their ideologies (10). Propaganda plays a huge role in Canadian culture at the time, propagandist forced specific outlooks towards Canada’s enemies at the time. The question that comes to mind is, what is the significance of this in regards to comics as an agent of historical context? Propaganda is meant to forcefully deliver the perspective and ideologies of the propagandist, because WOW Comics No. 6 is littered with propaganda, readers can interpret the perspectives and motivations behind the propaganda presented within the comic; what the propagandist is trying to communicate and what does it say about Canadian culture in the 1940s. For readers, analyzing propaganda within the comic enables us to decipher cultural outlooks on specific groups of people and the notion of war, an example of this is the representation of children’s interaction. 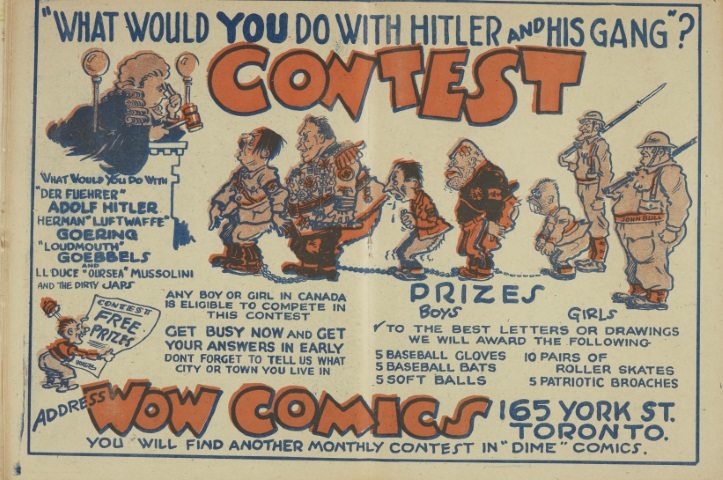 Going back to the “What Would You Do with Hitler and his Gang” section, it is extremely difficult to deny that the outlook on Canada’s enemies are represented as overly comical, but perhaps there is a deeper message in regards to how Canadians sought to communicate with their readers. For the most part, Bell Features comics was catered towards children, the activities and stories were meant to be read and engaged with by children at the time. Because WOW Comics No. 6 was focused on this age group, the inclusion of war related themes and propaganda suggests that Canadian culture during the second world war sought to involve children with wartime efforts in a very blunt manner, which also suggests that Canadian culture at the time made no effort to keep war discreet towards children. 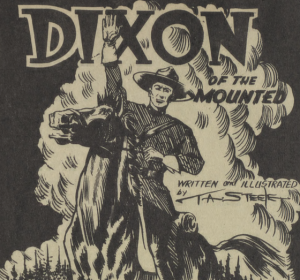 The inclusion of propaganda in a comic book further supports the idea that comics are an agent of historical context, as the messages being conveyed give modern readers a sense of how a country communicated to its consumers, in this case, how Canada communicated to children during the war. Comic books as a whole serve as much more than what it is originally perceived as. To an extent, comic books are miniature history textbooks encapsulating a piece of history held together with paperback covers and printing paper. The comic contains Canadian ideology from the past, and provides, as well as educates readers of what culture was like at the time of the comic’s production. Perhaps most importantly, WOW Comics No. 6 encapsulates needed accuracy of Canadian ideology in the 1940s. History textbooks and secondary sources speaking of Canadian history and views can potentially be altered to create a false image of Canada; a fragmented outlook on Canada and Canadians during the struggles and influences of war. The essentiality of the comic is that it is clear and unedited. The content is all there and everything is intact in terms of thematic elements and messages given to the reader at the time. With the lack of editing and possible fragmentation of information, WOW Comics No. 6 signifies a piece of history that is accurate of Canadian ideology.